Mark Lanegan is an American alternative rock musician and singer-songwriter. Lanegan began his musical career in 1985, forming the grunge band Screaming Trees. During his time in the band, Lanegan also started solo career and released his first solo studio album, The Winding Sheet, in 1990. Since 1990, he has released a further six studio albums. Lanegan has also collaborated with various artists and bands throughout his career, including with Kurt Cobain of Nirvana. Following the dissolution of The Screaming Trees in 2000, he became a member of Queens of the Stone Age and is featured on three of the band's albums. Lanegan has a distinctive baritone voice that has been described "as scratchy as a three-day beard yet as supple and pliable as moccasin leather". You are often referred to as the Tom Waits of the grunge music scene, are you OK with that? 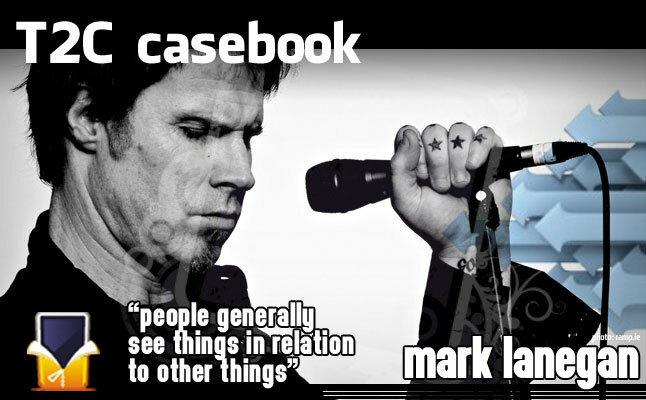 Mark Lanegan: People generally see things in relation to other things. It makes for them easier to understand what it’s all about. Tom Waits’ voice and mine might have something in common, but we are playing a completely different kind of music. You collaborated with both Kurt Cobain (Nirvana) and Josh Homme (Queens of the Stone Age), do they have any common features, characteristics, qualities? ML: They are both very nice guys and great musicians. You also recorded a couple of albums with Isobel Campbell, former Belle and Sebastian singer. What was your first thought when she called you with that idea, considering that she represents a completely different style? ML: I was a fan of her music before we’ve ever met, so I looked forward to the opportunity. Why did you wait with your next solo album for eight years? Are you more comfortable doing collaborations instead? ML: Well, even if I make music under my own name I collaborate with people, so it’s kinda same. It was never meant to be eight years, time just slipped away, I was too busy to come up with a new Mark Lanegan Band album. How come that except for Aldo Struyf, you are touring with another personnel that you recorded the Blues Funeral album? ML: Every time I make a record, I basically record it with new personnel, none of the guys I worked with on my previous album, except for Aldo. How often do you update your park of instruments? Are you experimenting with new technologies? ML: I don’t know about new technologies, it’s always been the same stuff: guitar, drums, bass guitar, keyboards. Do you have an iPhone or a tablet? ML: Yes, I have an iPhone, I also have a computer. ML: I mainly use them for looking at black basketball blogs. What are your short term plans? ML: I’m gonna be touring until Christmas, then I’ll take about a week off, and then start making another record.